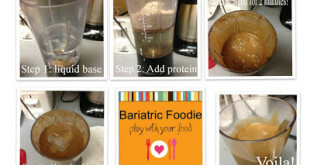 It’s been a while since I posted a protein shake recipe. There is a good reason for that. It’s been a while since I’ve actually had a protein shake. Don’t get me wrong, I still love my shakes. But as I get further out, I’m capable of getting all my protein from solid food and these days I’ve been doing a fairly traditional “three meals, two snacks” sort of eating plan that hasn’t included many protein shakes. But last night it was HOT and I just got a craving for a shake. So I had to make one! 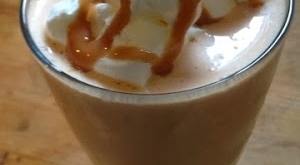 These days, I’ve been trying to cut back on the shake recipes that depend on sugar free syrups, but I have to tell you, this one is well worth the investment. If you already have the two syrups I use in this recipe, it’s a great way to utilize them (especially since they don’t integrate all that naturally into many different flavors) and for those that don’t have them, it’s definitely worth giving them a try! Optional (and not in the picture): 1 tablespoon sugar-free French Vanilla pudding mix (if you like a thicker, creamier consistency) and 2 tbsp fat or sugar-free whipped topping for garnish. Mix according to the Triple X method or your favorite shake mixing methodology. Pour in a nice glass and SLURP! I didn’t have a little paper umbrella handy but it is totally THAT kind of drink. This is a good one for the family barbecue when everyone else is imbibing. 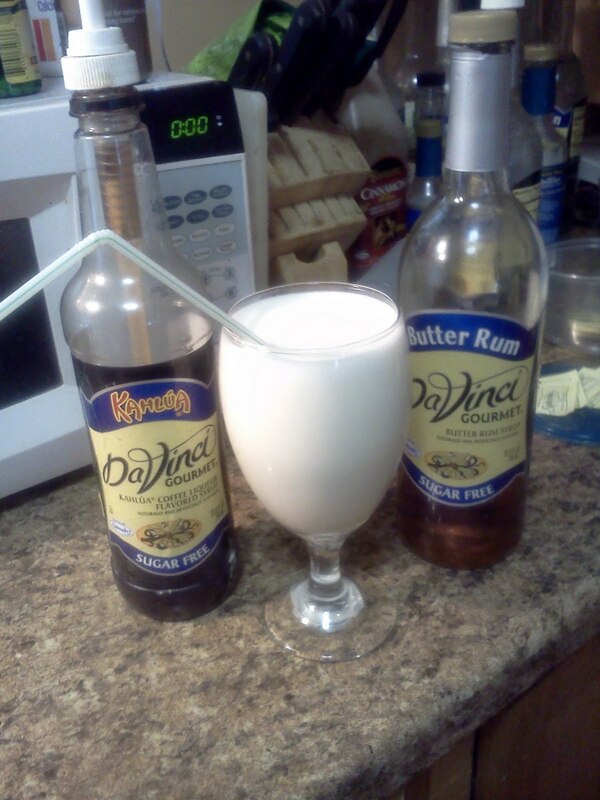 You can have this, FEEL like you’re having a cocktail, and you won’t end up with embarrassing pictures on Facebook. Where do you purchase Davinci syrups? If you click the link on the names of the syrups it takes you to where you can purchase them. Or you can use the Netrition search box on the blog to get to them as well. I like Netrition because it has $4.95 flat rate shipping!